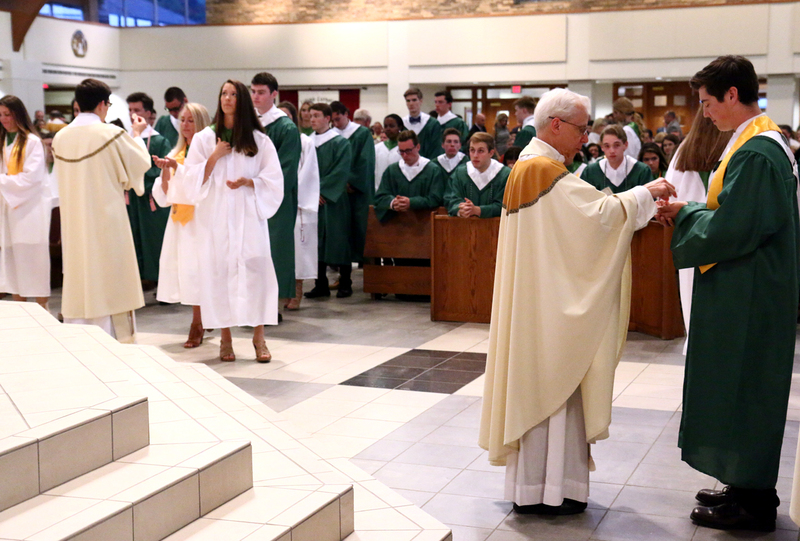 Father John Donia, school minister, blesses crosses that will be placed upon each student as a sign to live their faith and their call to salvation. 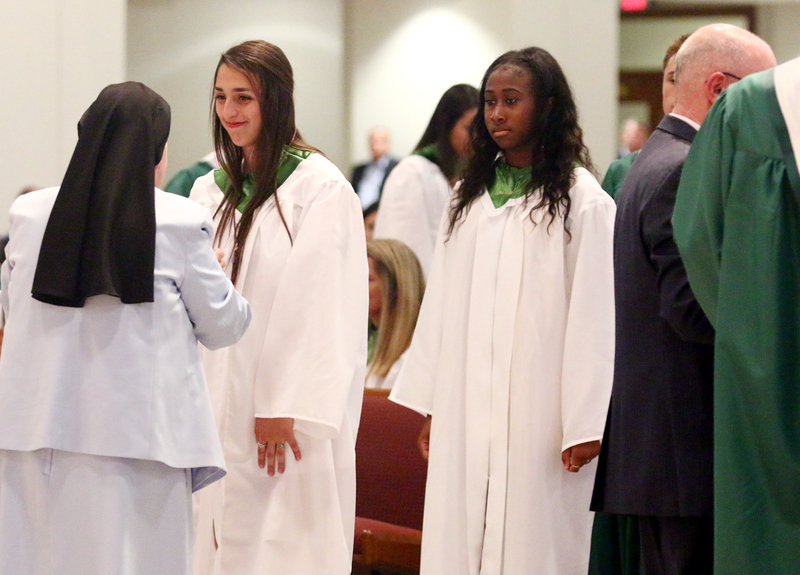 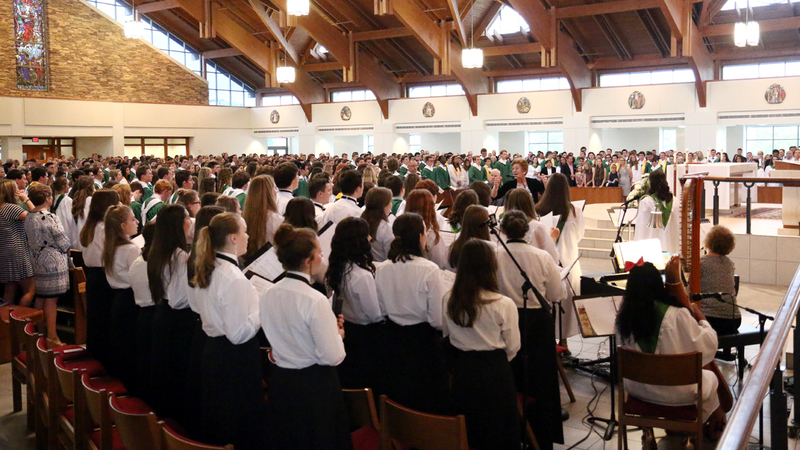 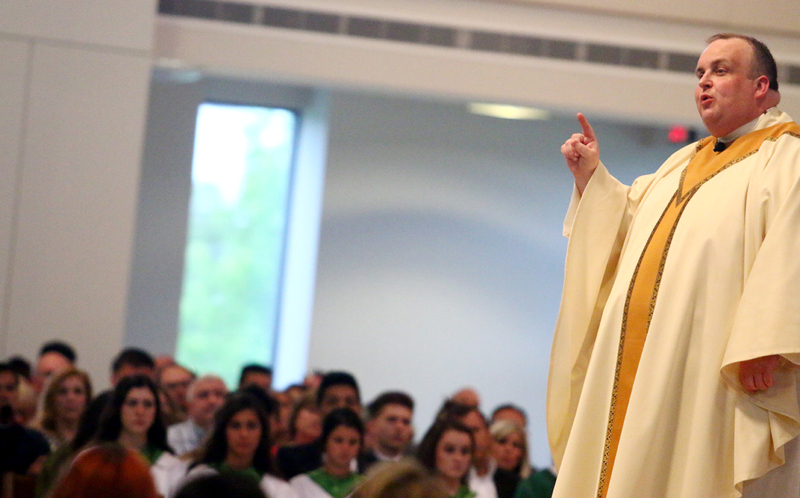 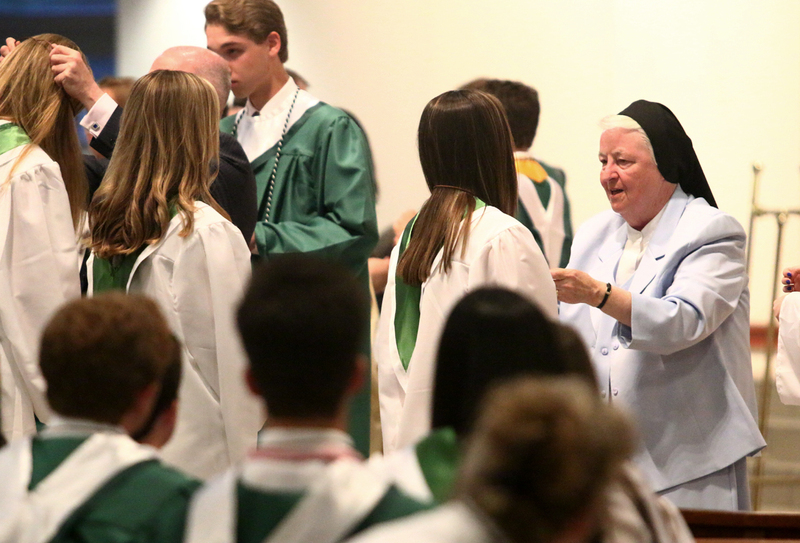 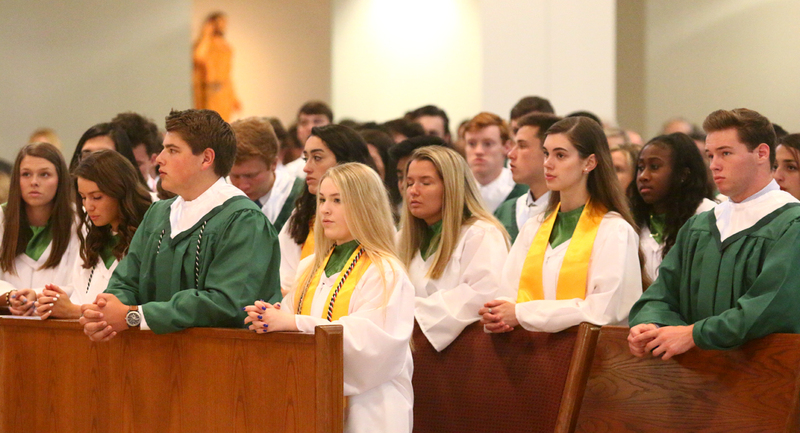 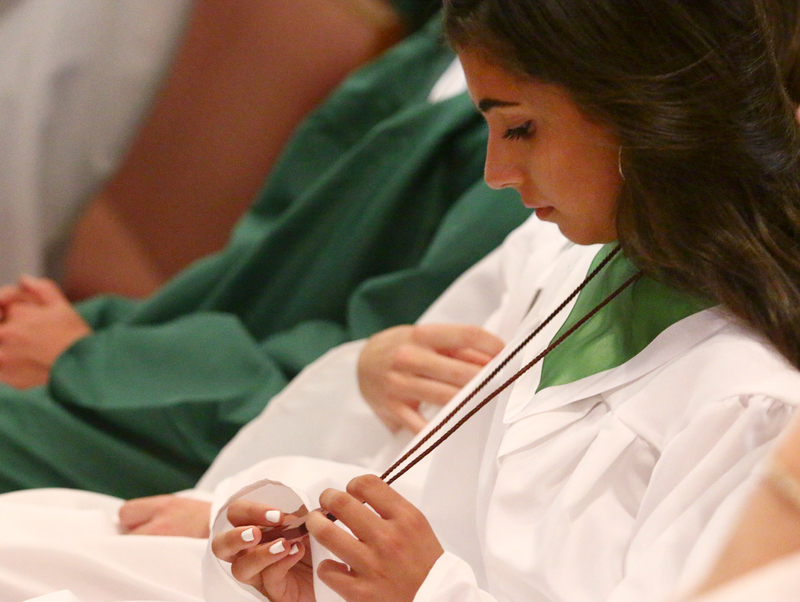 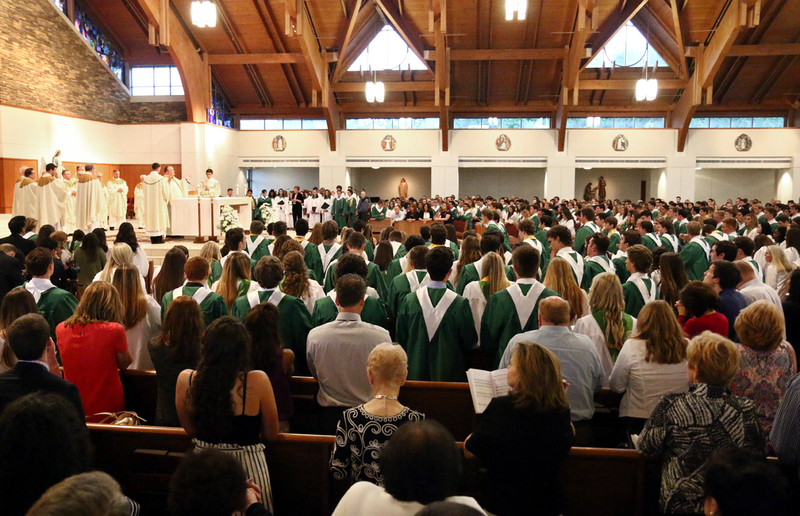 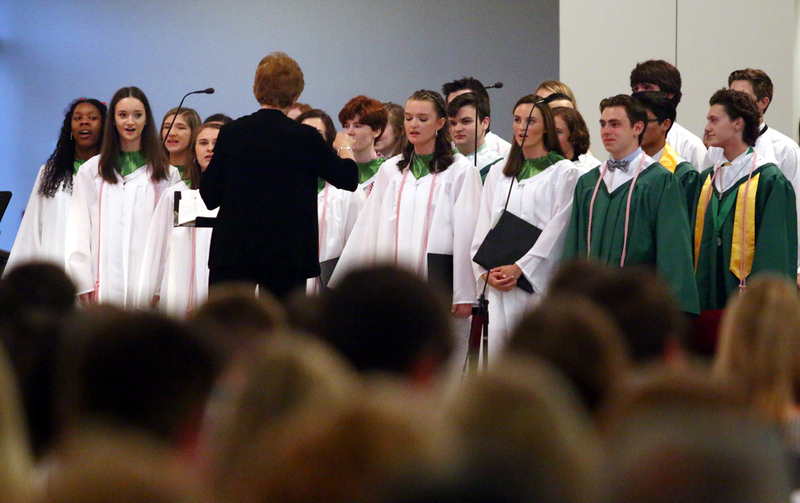 Sister Regina Plunkett, I.H.M., president of Bishop Shanahan, places a wooden cross upon the students as a sign of their faith and God’s love for them. 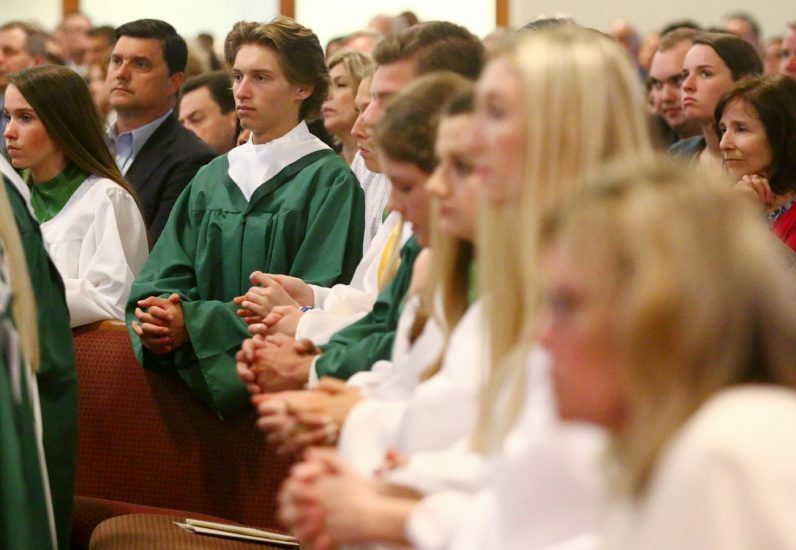 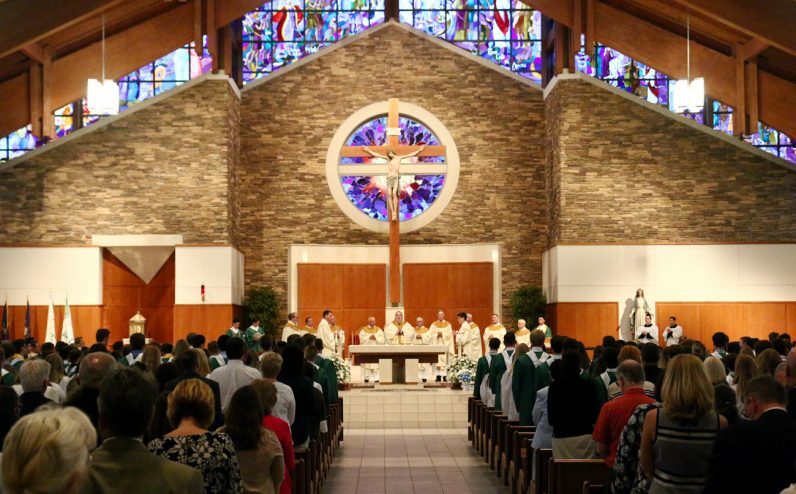 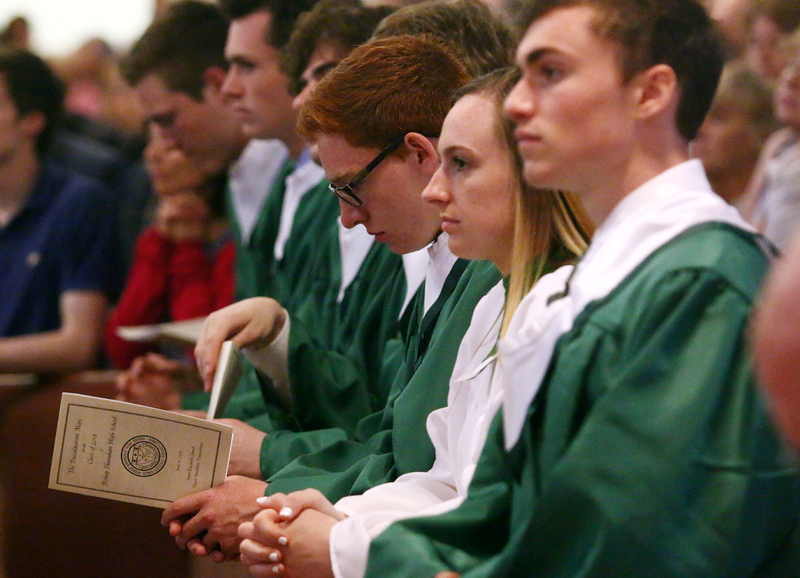 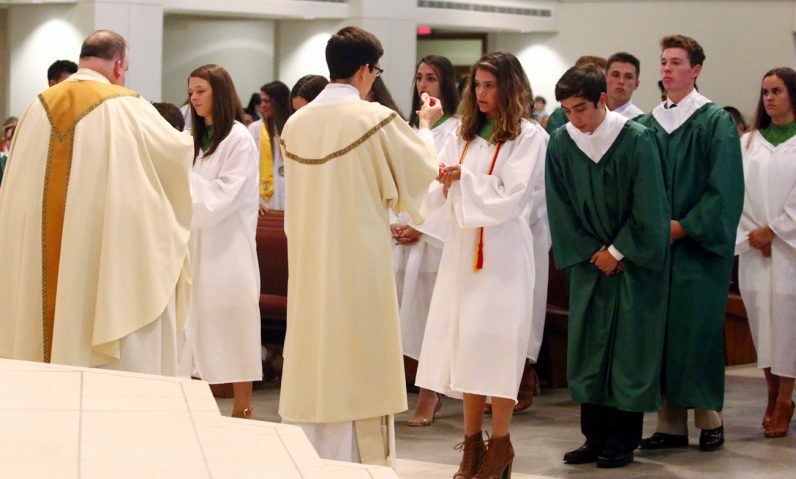 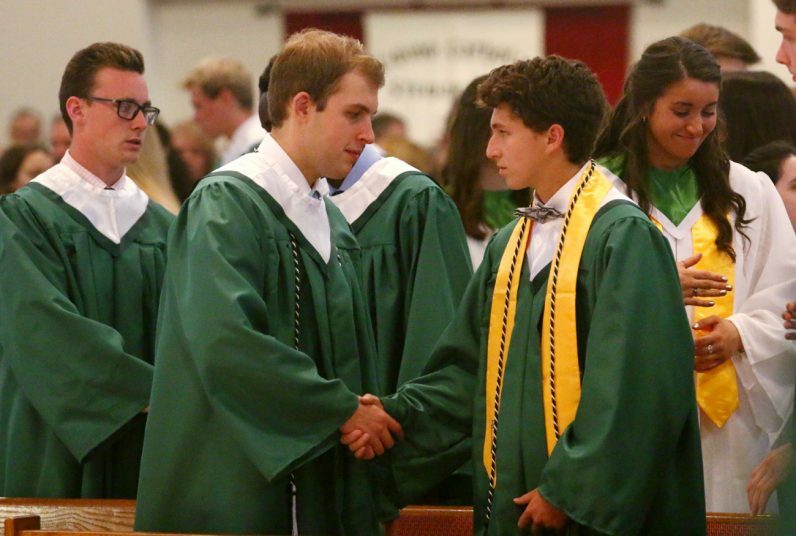 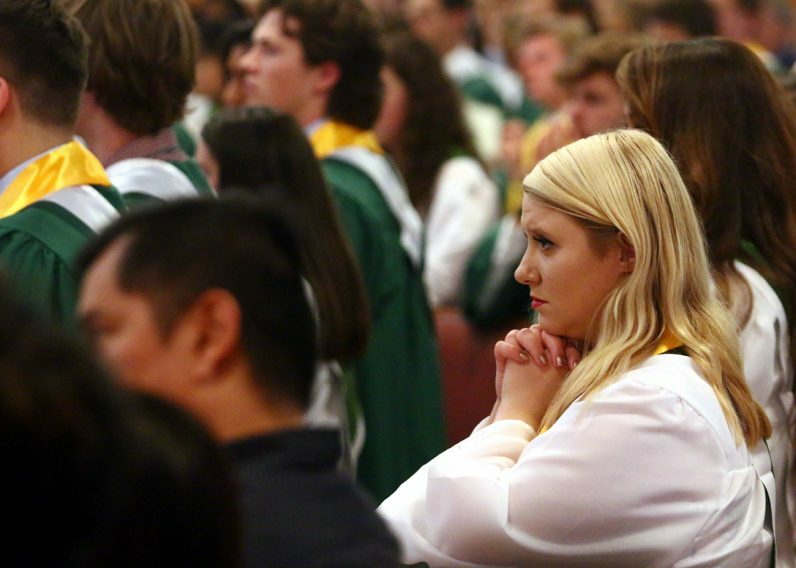 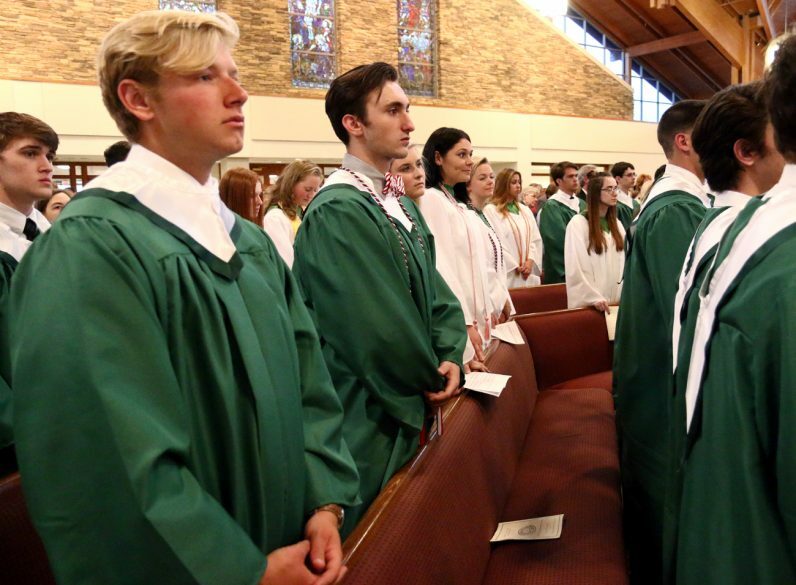 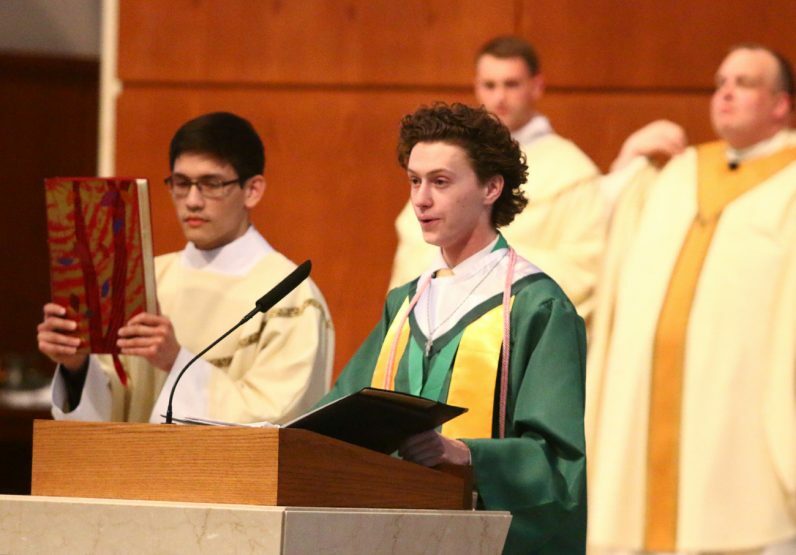 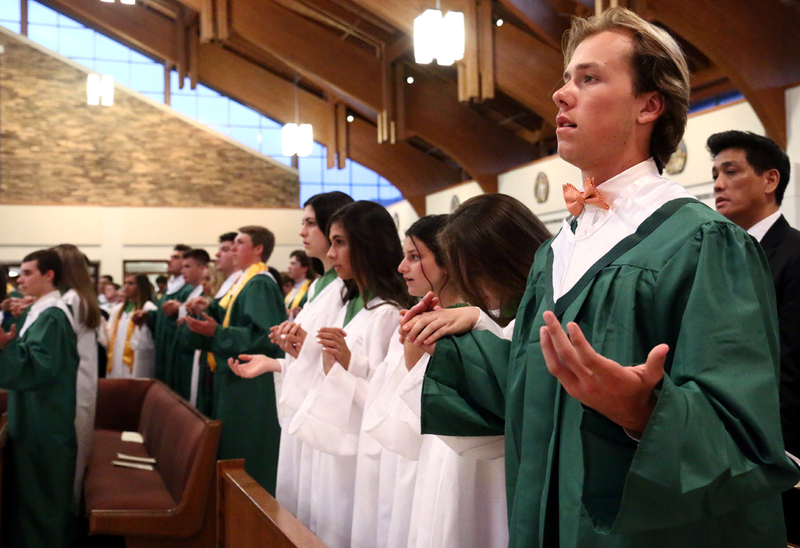 on photo page 6; in 12 years of Catholic education no one told these Catholics that you do not extend your hands when praying the prayers during the Mass! 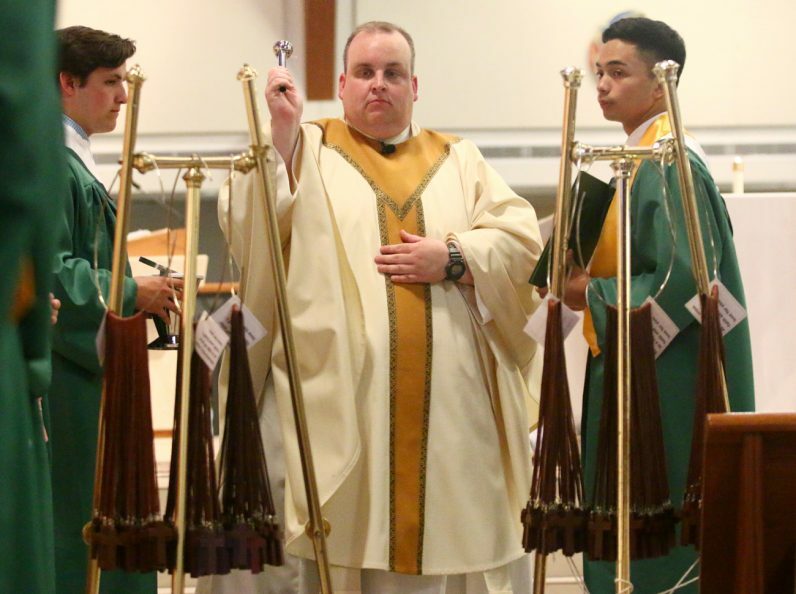 Even the new deacons are taught that ONLY the priest extends his hands.